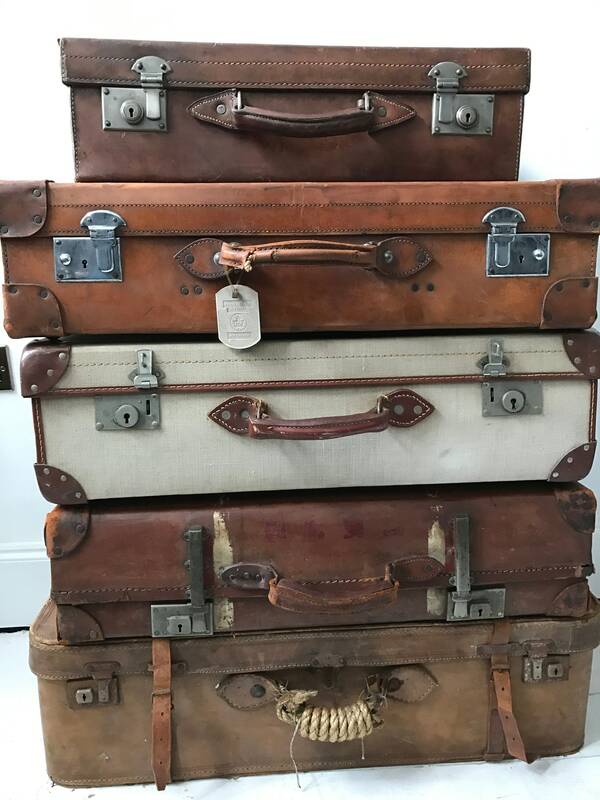 A selection of leather cowhide, antique and vintage suitcases. 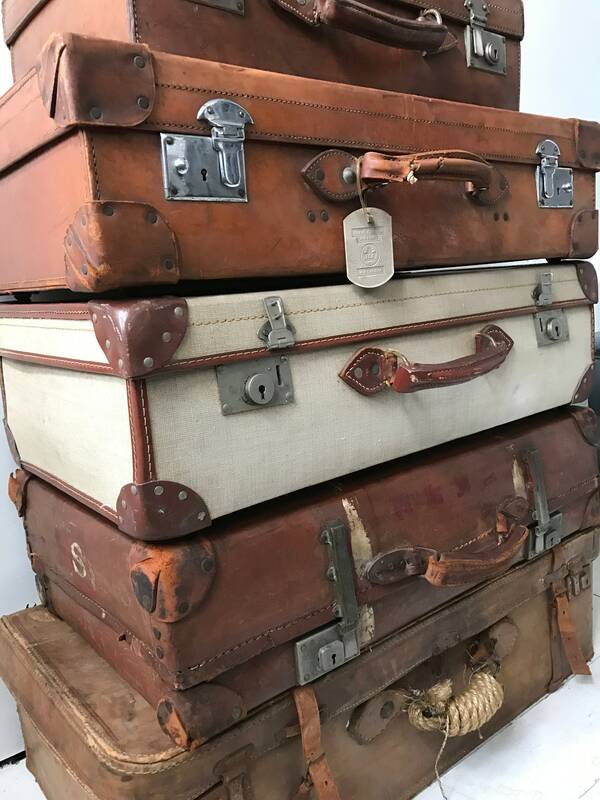 Great for props, storage solutions and look great stacked for interior design. Top Case 1 - Medium brown designer style cowhide leather suitcase - W22" x D12" x H6.5"
Second Case 2 - Large brown designer style cowhide leather suitcase - W28" x D18" x H8"
Case 4 - Brown leather with extendable height clasps - W28" x D18" x H8"
Bottom Case 5 - Brown cowhide leather with belt straps and rope handle - W31" x D16" x H9"
This listing is for 1 x selection of a vintage suitcase, just add your suitcase choice to the basket. 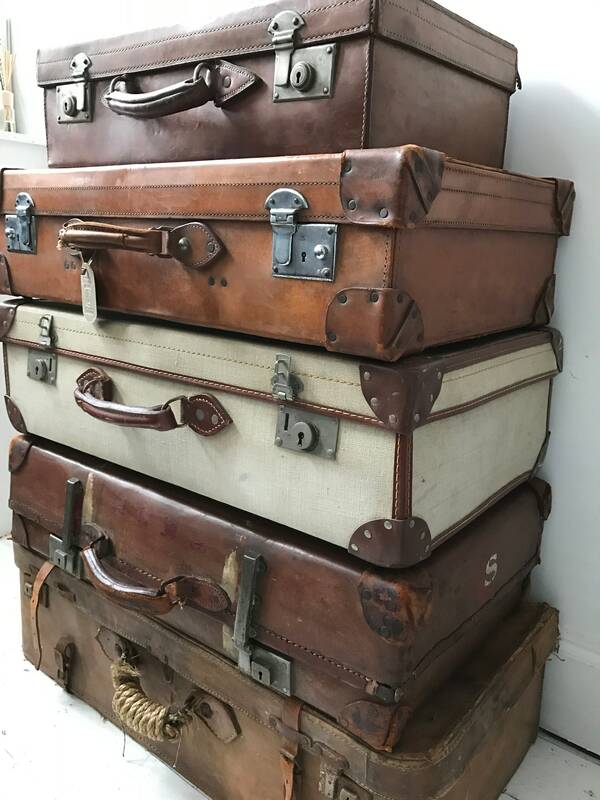 If you would like more than two of these suitcases please contact me for combined shipping. 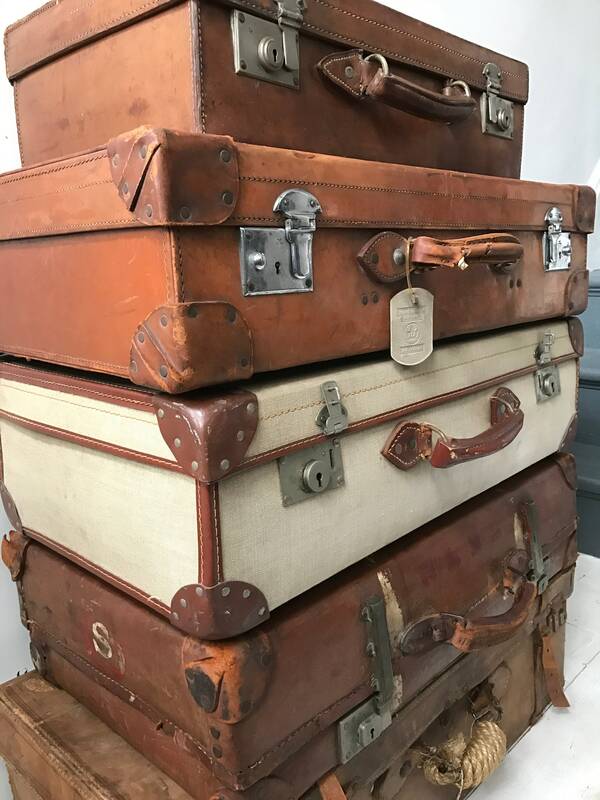 All vintage cases are cleaned polished externally and wiped over internally and are in a good general condition for their age, they are however vintage and as such show signs of aging with wear and tear, which adds to their beauty as individual items. 5. 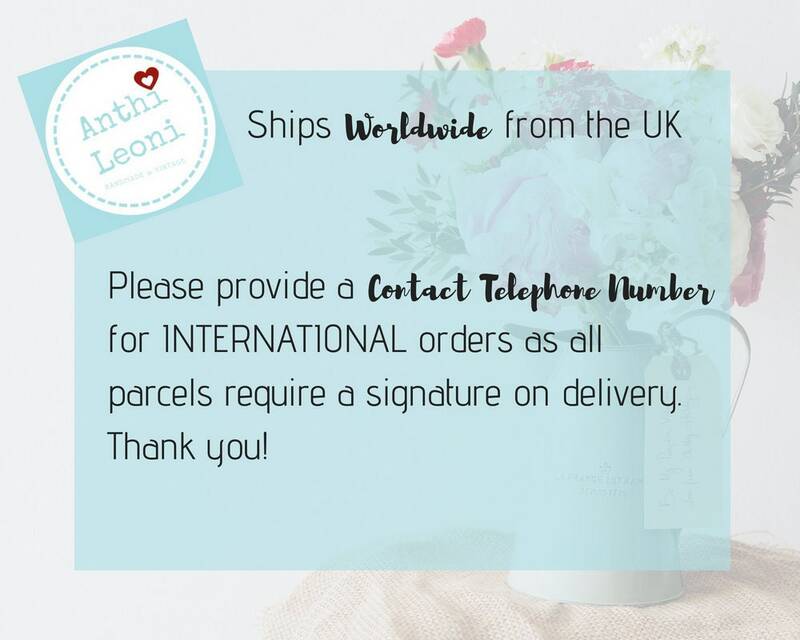 Proceed to checkout, complete your order and await your parcel!